With the intention to satisfy variegated requirements of industry, we are presenting in front of them our Tyre Mounted Lattice Boom Crane Hiring Services. 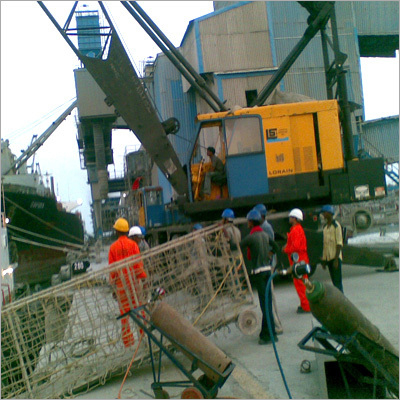 The cranes are provided to the clients according to their specified application and material handling requirements. Offered on rent, these cranes are most acclaimed for their excellent performance and convenient operations. Clients from various industries can avail these Tyre Mounted Lattice Boom Crane Hiring Services at economical charges.